please visit IDE64 News Portal! • IDE64 V4.x Case info. • IDE64 V4.1 release info. • Plugins pack 2012 The recent collection of the File Manager plugins. • How to associate and setup Manager plugins. • A new ETH64II pictures and info. 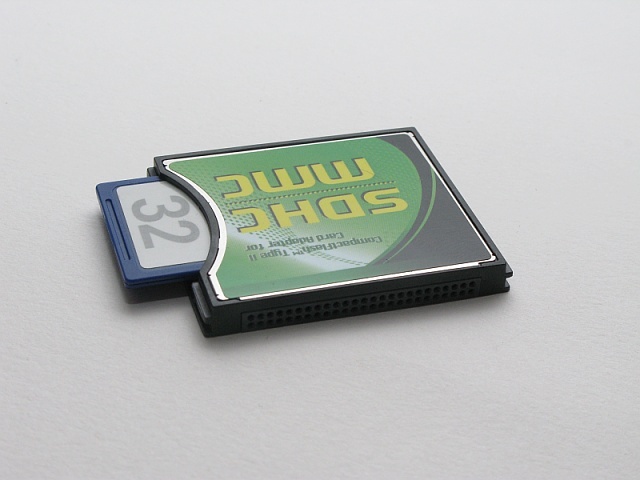 • Pictures, added IDE64 with SDHC/MMC adapter. • How to enable IDE64 emulation in VICE, revision 2. • IDE64 related links updated. • Pictures, added IDE64 with IDE2SATA converter. • Download webpage has been updated. • missing performance comparison added. • IDE64 V4.1 Amiga Clock port timing added. 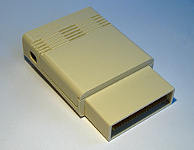 The IDE64 cartridge is a device for connecting a CompactFlash (CF), IDE hard disk drive and/or DVD-ROM drive to a Commodore 64. It is plugged into the Expansion Port. IDE harddrive/CF transfer rate is more than 100 times the rate of the floppy drive 1541. 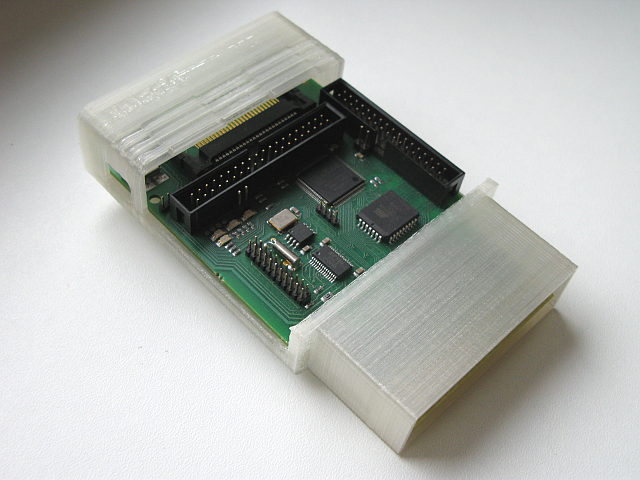 IDE64 expands the features of the original floppy drive and file system presenting the new dimmension of storage for the C64. 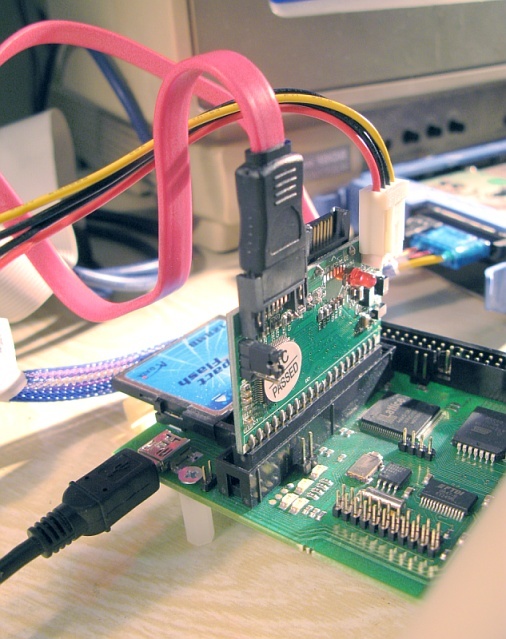 The IDE cartridge contains a 512kiB ROM (EPROM or flash EPROM with IDE DOS, Machine Code Monitor, File Manager and Setup), a 28kiB RAM (used for internal buffers), a realtime clock chip (powered by a battery), four LEDs (to indicate the presence of the cartrige and HDD activity), a Short-BUS for new peripherals, Amiga Clock Port, mini USB Device Port (PCLink) and an ispLSI chip. Current version contains USB PCLink, fast full duplex virtual drive support.